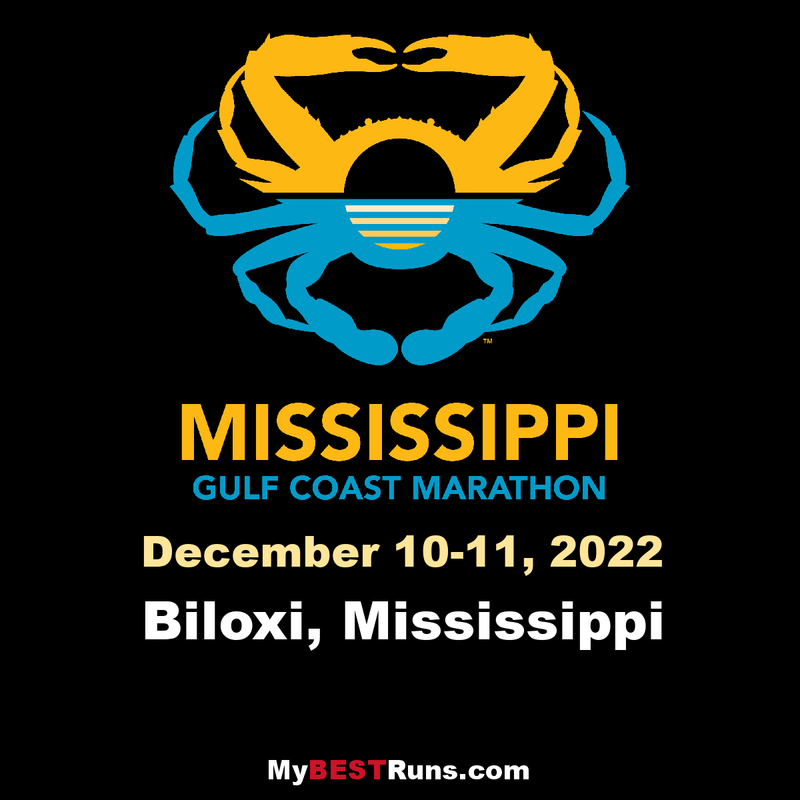 The Mississippi Gulf Coast Marathon is the centerpiece of a three-day Running Festival featuring “Mississippi Gulf Coast Culture.” The goal is to establish the festival as an important annual destination event with strong ties to the regional flavor, showcasing the music, food and entertainment of the coastal resort area. Runs include a full marathon, half marathon, 5K (3.1 miles), and kids’ fun run (1.2 mile). The weekend kicks off Friday, December 9 with a health and fitness expo. The 5K and Kids race are the next day, followed by a post-race party and more of the expo. The marathon and half-marathon (which starts in Gulfport) are Sunday morning, followed by the Finish Festival, a post-race beach-party featuring local Gulf Coast seafood, Mississippi style barbeque and live performances of country, rock and blues. The Mississippi Gulf Coast Marathon course features a fast, flat, BQ-friendly path along the coast from Pass Christian to Biloxi. 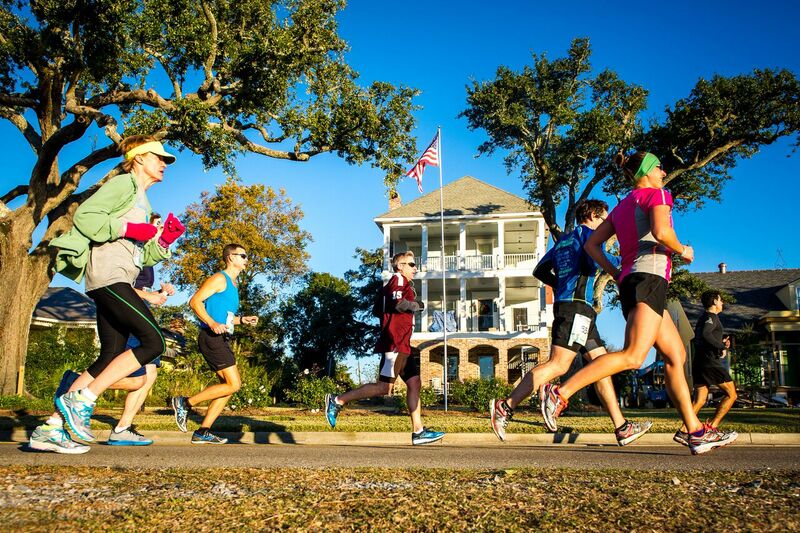 Runners are entertained by supporters and spectators while viewing breathtaking beaches historic homes, local restaurants and luxury casino resorts. The race begins in Pass Christian, on the Louisiana side of Mississippi, then winds east along the coast on Beach Boulevard (Highway 90) to a grand finale in Biloxi, the region’s tourism epicenter, full of large modern casino hotels, standout golf courses, museums, attractions, fishing and great restaurants. There are few other races worldwide with this much coastal exposure, the waves almost always in sight. The course is a USATF Certified Boston Qualifier route.